There’s a feeling you get when you step into Alaska for the first, or even the 400th time. It’s an immediate understanding that this state is different – It’s more rugged, vast, and wild than anywhere in the lower 48. For outdoor lovers, it could take a lifetime to explore. After two visits back, I’ve barely even scratched the surface. Alaska covers over 660k square miles, is home to the majority of the tallest mountain peaks in North America, and yet only has a population of 740k, most of whom live in the cities. Most of what you see there is uninhabited by humans. Alaska is the first place where I experienced off-trail, backcountry hiking and camping. It’s one of the only places in the world where one can hike for eight straight days without seeing another human being or man-made structure. That, my friends, is an indescribable feeling. Get ready for stunning views from Mt. Marathon out of Seward. Though backpacking in the backcountry Is my favorite thing to do in Alaska, I know it’s not for everyone. There are several day hikes that are worth doing as well, including Mt. Marathon out of Seward, Hatcher Pass and Independence Mine close to Palmer, and Flat Top Mountain out of Anchorage. These are just three of probably hundreds of thousands of trails out there, but each are gorgeous and unique in their own way! The Talkeetnas are a mountain range near the Matanuska glacier out of Palmer. Though not a national park, it’s just as stunning as one, without the usual regulations. I just wrapped up an eight day backpacking trip there with a group of 12 amazing women as part of one of my adventure tours and I’m still in awe. This national park is the largest in the US, and yet almost no one has even heard of it. It’s also home to seven of the highest peaks in the US. I did an eight day backpacking trip here in 2017 and absolutely loved all of the glaciers, the wildness of it, and the chance to get off trail with no other human beings around. It was just the three of us, a map and compass, and all of the food and shelter we were going to be using over the next eight days. If you’ve never tried white water rafting before, or even if you have, Alaska is a fantastic place to do it. I brought my group to the Matanuska River, which is a glacier fed river just outside of Palmer, Alaska. The rapids range from class 2 to 4 and the rafting lasts for half a day. It’s such an adrenaline rush! I also appreciated that we wore dry suits for the experience, so even if our hair got a bit wet, falling in didn’t mean getting completely soaked in frigid glacial water. I went with Nova Expeditions and thought they were great. Taken from the flight to the start of the hike in Wrangell. One of the best ways to see the vastness of Alaska is from the air. Scenic flights departing out of Anchorage, Palmer, or Denali are all quite costly at around a few hundred dollars, but if it’s a clear day you can get incredible views. Another great way to get a scenic flight in is to take a bush flight when backpacking. These are typically much cheaper and are really more of a shuttle service from A to B, but since no part of Alaska is ugly, it’s a great chance to get a scenic overview. The picture above is from my bush flight to the start of my hiking route in Wrangell-St. Elias National Park. These iconic photos you see of bears catching salmon in Alaska were most likely taken in Katmai National Park. 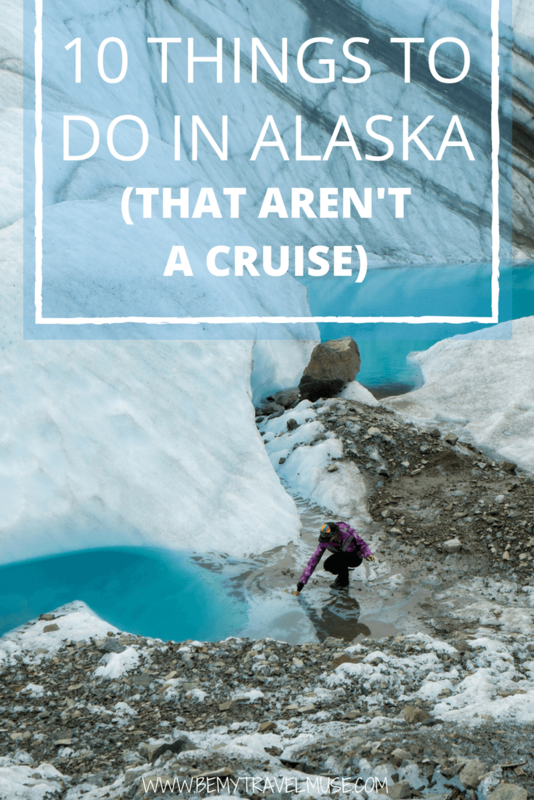 Like many things in Alaska, getting there is costly, but once you do there are trails you can hike, canoeing routes that are meant to be absolutely beautiful, and of course a chance to see those iconic grizzly bears doing their grizzly bear thing. 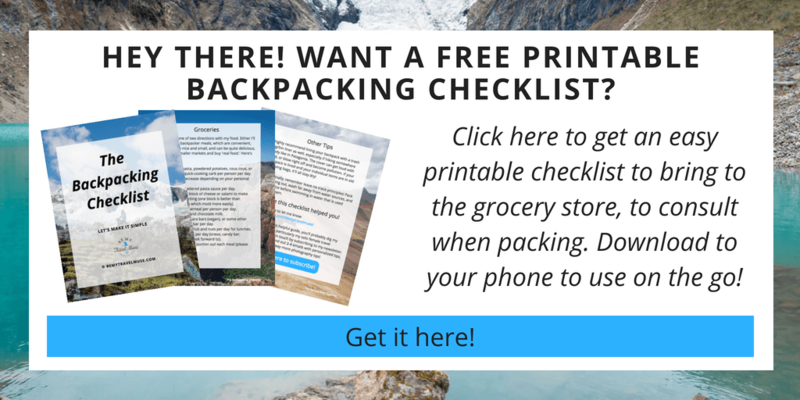 It’s a bucket list item, especially for the photographers out there! Any quick search of things to do in Anchorage won’t turn up a lot of exciting options. To me it’s more of a place to fly into and out of again. That said, if you find yourself there with extra time, cycle along the coastal trail. It’s mostly flat, nice and calm, and it’s also fun to stop near the portion by the airport and watch the jets zoom directly overhead. Alaska has an estimated 100,000 glaciers! Just let that sink in for a moment. The best part is, you can walk on them, kayak around them, and take helicopter tours to land on them. Two of my favorites are the Matanuska glacier near Palmer and the Root glacier in Wrangell-St. Elias National Park. One can don crampons and self tour either one, however be aware that crevasses and moulins, which are deep pools of water that are much deeper than they appear on the surface, can be anywhere and everywhere. Both are deadly. If it’s your first time walking on a glacier, or even your third or fifth time, it would be wise to go with a guide. You can read more on my Matanuska experience here. Kenai Fjords National Park is a must-see in Alaska. I recommend the all day glacier boat tour for a chance to see puffins, humpback whales, orcas, sea otters, and a possibility of even bears and mountain goats. The all day boat tour also stops by two glaciers that make their way out to the sea. If you’re lucky it’ll be a clear day, but prepare for rough waters. If you think you might get seasick, take medication to help before getting on board. The water can be seriously rough! I’m not a fisherwoman myself, but this article would be missing a big chunk of what draws many people to Alaska if I didn’t mention fishing. As anyone who lands in Anchorage airport will notice, people are leaving with boxes upon boxes of salmon and halibut. Each summer, a big part of the non cruise based tourism are folks coming in to deep sea fish. 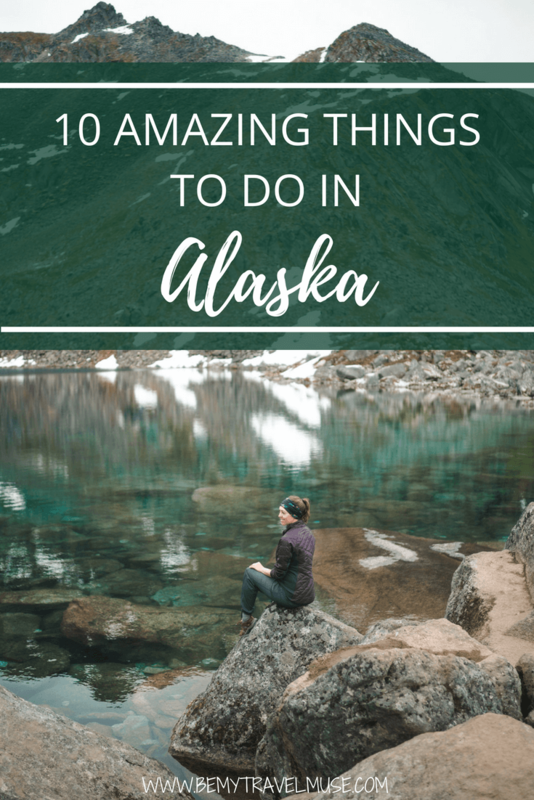 While those are some of the best things to do in Alaska, it’s nearly impossible to narrow it down considering how huge the state is! However I hope this helps you get an overview of some of the best. I can’t wait to keep returning to this beautiful place, full of adventures, wildlife, and hidden pockets of beauty. It truly is the last frontier. That boat tour looks amazing! Would love to try that!